Windows 10 comes with a lot of great features. One of the best things about Windows 10 is the ability to have Cortana be by your side with whatever you do. Call her your personal assistant, she can do a lot more than just search for Microsoft Word. Here are some basic voice search tips that you can do with your Windows 10 device! 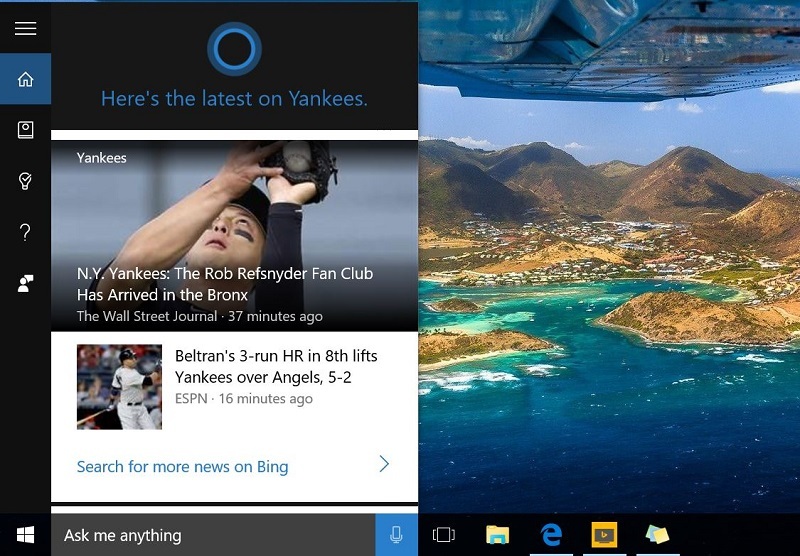 See how to enable Cortana on your Windows 10 device here. With Cortana, you can add as many interests as you want to track. Here is an example of something that matters a lot to me. I am curious how the Yankees do, so I like to see Yankees stories when I am using my computer. Cortana will even read off the top headline to you when you do a voice search question like I did in the video. 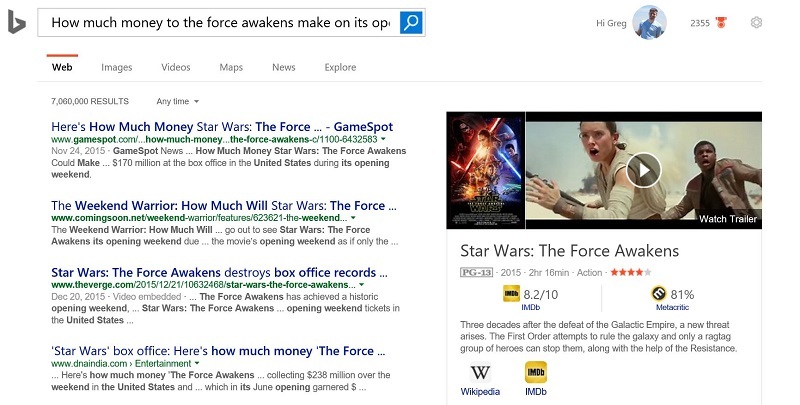 Cortana is powered by Microsoft Bing. Whether the question is answered in a direct answer or not, she will always do a Bing search to get the answer. If you do ask a question that can’t result in a direct answer, she will present you with a Bing listing. Make no mistake though, Bing’s listings have gotten much better over the years and you will be surprised at how right the results are to what you just asked for. Here is an example of a long tail voice search I did that resulted in a Bing results page. Searching with Windows has never been easier. Let’s say you were working on a power point presentation, but could not remember where you saved it. You can simply search for the name of the Powerpoint presentation and Cortana will be able to find that. This works as well for Microsoft Word, Excel, PowerPoint, OneNote, and more. Cortana plays well with the app store on Window 10. Whether it is TripAdivsor, Pandora, Netflix, or anything else, she can get you to what you need. You can even ask more complex questions like “open Netflix”, to “open Netflix and play The Office”. This type of voice search can allow you to get to exactly what you want without typing anything. At this time, Cortana and Windows 10 are only a year old. With that being said, you will notice at times that she will not get the exact result always, but she will be very consistent with most of the searches. That video example above was not edited, so you can see that she can handle a variety of searches at a fast speed. If you have Xbox One, or an iPhone / Android, you should download the Cortana app as well so you can be fully synced when you go!